Nina tells Franco that she has a job interview as fashion editor at Crimson. Maxie tells Dillon that Lulu knows he deliberately played the video. Maxie understands why he did it. Maxie wants the film to continue, but Dillon doesn&apos;t. Dillon says he no longer believes in the film. Dillon tells her to give the checks back to the donors. Sonny checks himself out of the hospital and complains to Dante about losing Avery. Sonny continues to blame Carly for not being there. Carly wants Jason to tell Sonny about him. Jason says he has a lot happening, but Carly begs him to come through for her. Jason tells Sonny, who refuses to believe it. Carly tells him about the DNA test. Sonny finally accepts the truth, but Jason isn&apos;t so accepting. Julian updates Alexis about Avery. Alexis feels sorry for Sonny. Julian tells her that he&apos;s having tax problems and complains that Crimson is bleeding money. Nina shows up for her interview with Julian. Julian offers her the editor in chief position. Lulu tells Laura that she left Dante and why. Laura comforts her, but warns her not to be quick in making decisions. Laura asks Lulu to move into Windemere but Lulu says she&apos;s staying at Maxie&apos;s.
Dante arrives to visit Rocco. He begs Lulu to talk but she wants nothing to do with him and leaves. Laura commiserates with Dante but tells him to give Lulu some time. Franco asks Liesl for his old job back at the hospital. Liesl tells him that he has to pass a psychological evaluation first. Sonny tells Jason about how they met and became so close. Sonny&apos;s happy to have him back. Jason says he has no memories and gets upset and leaves. Carly begs him not to turn his back on them. Jason says he&apos;s not their Jason anymore. Dillon apologizes to Lulu, but she points out how humiliated she was. Lulu says she wants nothing to do with him. Dillon begs for her forgiveness. Lulu grabs him and kisses him. Alexis questions why Julian would hire Nina. She realizes that he wants to lose Crimson, since he&apos;s losing money from it. Julian admits that he thinks his tax problems are over. 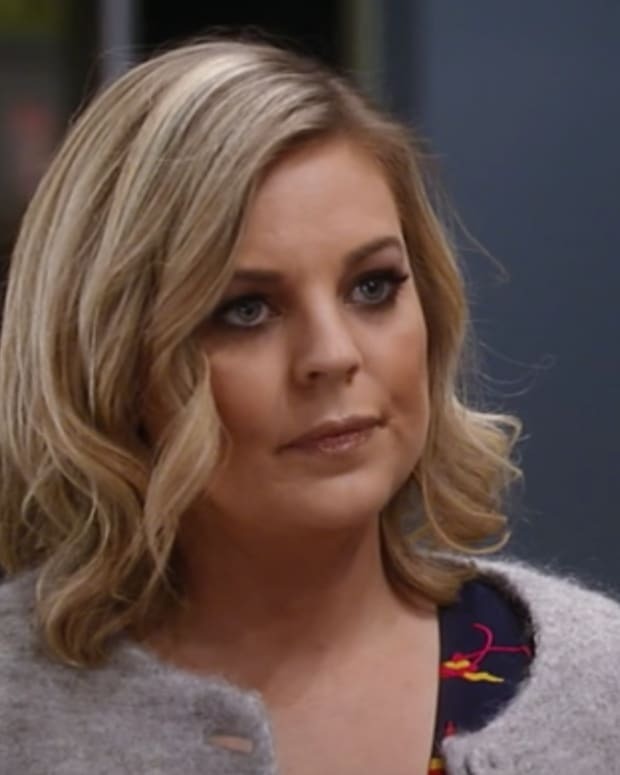 Maxie drops off Nina&apos;s check to Franco. Nina gets home and Maxie&apos;s not happy to hear that she got the job. Maxie tells Nina that she used to work at Crimson. Nina hires her. Jason gets home and has a flashback memory of Sonny. Perkie's Observations: Can Nina Save Crimson on GH?